Full-fit sweatshirt in with a high-stitch density makes the perfect canvas for printing. 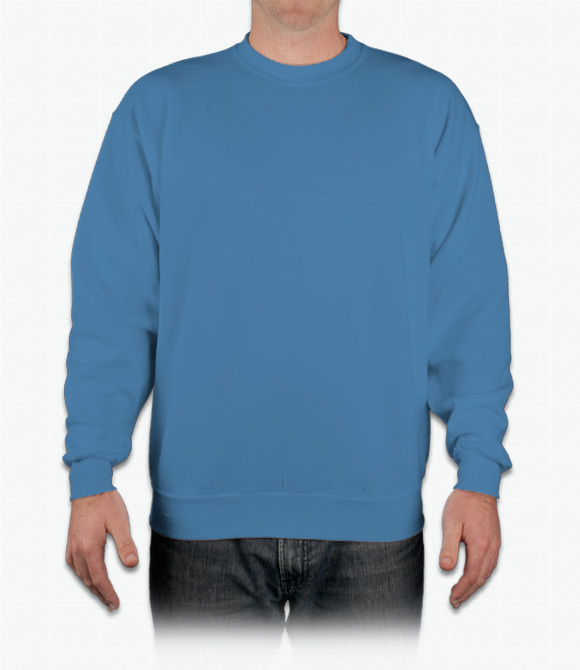 "Hanes 7.8ox ConfortBlend EcoSmart 50/50 Fleece Crew is the perfect weight. Not to heavy and not to light. Perfect for me to throw on and feel comfortable. Nicely sized and the color is exactly as shown on website. " "The shirt itself is nice, but the size definitely seems like it runs a little large." "The quality of this sweatshirt is good. The one thing I would point out is that it is a tight fit so if you're not looking to have it fit snug order a size above normal sizing."